Disclosure: Thank you SelfieMark for sponsoring today's post and allowing me to review your app. However, any opinions expressed by me are honest and reflect my actual experience. Hiya guys! 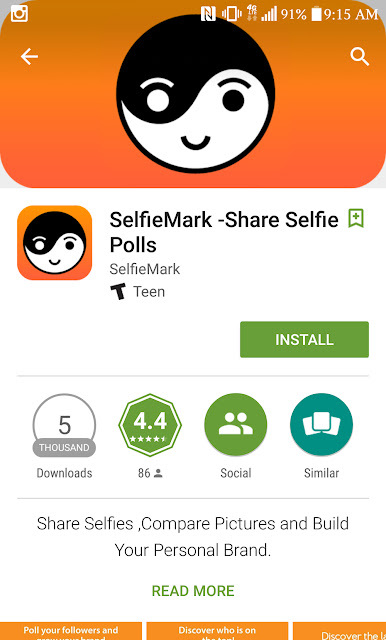 Today I am sharing a sponsored review on a new app on the market called SelfieMark. 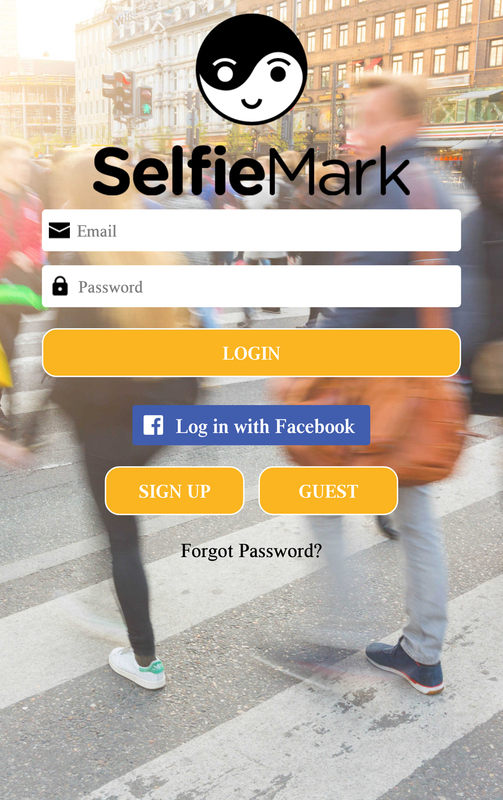 SelfieMark is a new way to share photos with your friends and people around the world. Not only can you share your selfies, but you can also ask for input via polls you can share with the public or just with your friends! 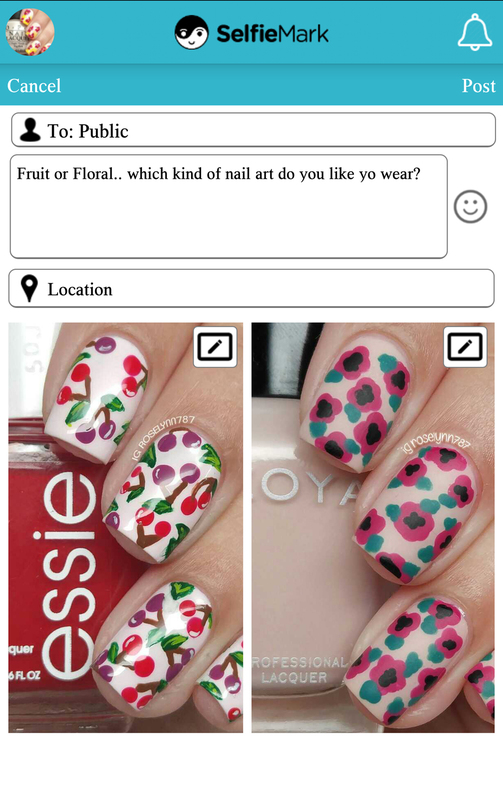 As a nail blogger, the poll feature is definitely the most intriguing to me and you'll see why shortly down below. SelfieMark (#SelfieMarkApp) is available to download for free both for iOS and Android. SelfieMark takes up about 30MB, which is on par or less space consuming than other social media apps. Definitely a huge plus for me! I've been using it on and off for the last few days and it has not lagged my phone whatsoever. I was happy to note that I could either sign up using Facebook or by just filling out my credentials. I love being able to have the option of choosing and not being pressured into using my Facebook to sign up. Whether or not an app has this option is usually the turning point on if I uninstall it right away typically. I'd like to note that although there are a variety of categories to choose from, the selection feels limited to me. 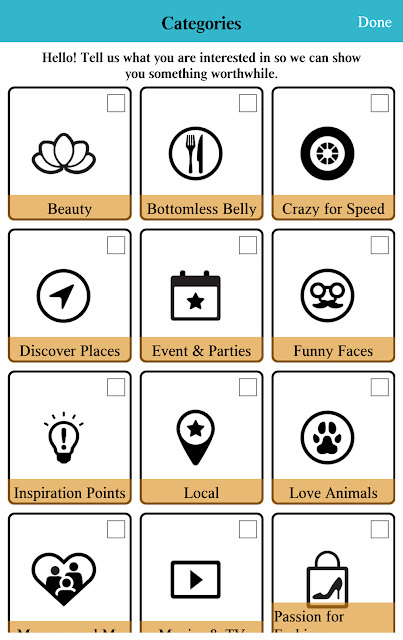 I would love to see more added in the future, perhaps some sub-categories (i.e. Nail Polish within the Beauty category). A breakdown of interests within a genre would not only perk more interests from me, but also give me a neater home/newsfeed. Making polls for your followers is super easy and only takes a caption and two photos. That's it! Think of the concept as a 'this' or 'that' in which your followers decide the one they like more. And this is where the nail blogger in me screams from excitement! Love, love, love this concept as a way to interact with my readers and followers. I can imagine myself sitting down for the night to do some nail art, but not knowing what color to choose for example. Two quick photos and boom, YOU guys get to pick and decide. Of course I had to dive right into making a poll! 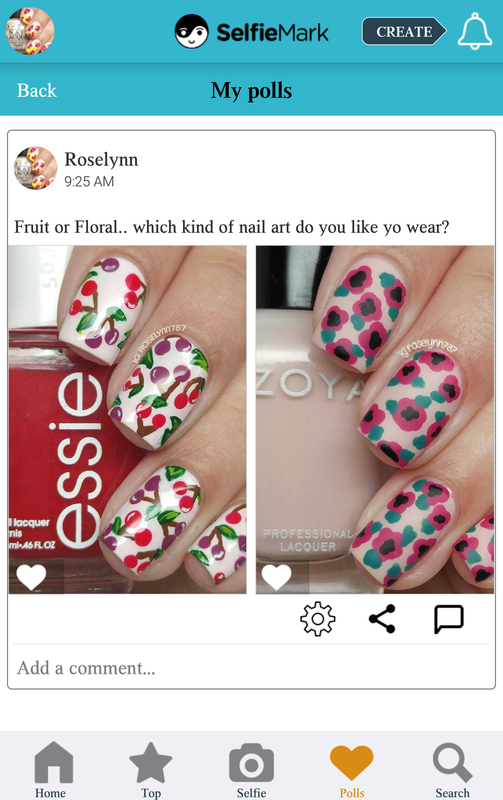 Using two of my recent nail art posts I asked which one would you guys wear. But it's not only about hearing what you guys think about things I have already posted, no you guys get to help me decide on design ideas. In another poll, I posted two inspiration photos and asked my followers to pick! The one with the most likes/votes will be the nail art I'll do next. How cool and fun is that?! Overall I am excited to see this app further develop and grow because it has the potential to be fantastic. The interface right now is simple and easy, most importantly it doesn't lag my phone. In terms of aesthetics, I personally would like to see a cleaner layout. As a new app on the market though it's expected and I predict seeing changes to the interface as the app further grows its user-base. I will also like to note how important it is to set your notification settings before you start posting. I didn't do that and I was getting notified of every interaction via phone alert, email, and text message. I love hearing from my followers, but even for me that was a bit too much haha. Anyway, I would love to see you guys on the app! I think we can get so much more interaction with each other quickly and easily. Go download the app, it's free, and find me under my same ol' username roselynn787. Be sure to let me know your usernames down in the comments below so I can follow you back! Thank you SelfieMark for sponsoring today's post and allowing me to review your app. However, any opinions expressed by me are honest and reflect my actual experience.